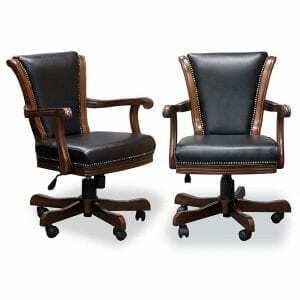 Why not add some flair to your game room furniture grouping with several of these Executive Swivel Barstools? The minute you place these stools around your bar or pub tables you’ll see how they emanate an air of quality and sophistication. The Executive Swivel Barstool is the perfect height for bars, pub tables, and most kitchen counter bars. The barstools have a full 360 degree swivel action. Bronze beading around the faux black leather cushions give this barstool a luxurious look. The foot ring is accented with bronze plate for added stability. 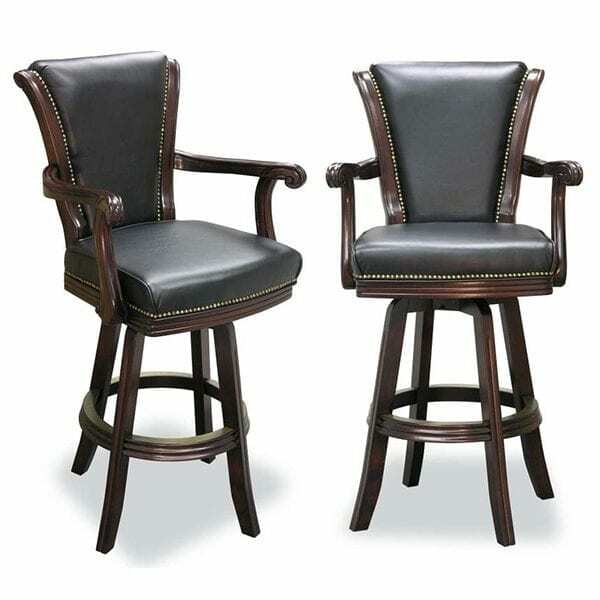 While regular barstools are certainly adequate, these Executive Swivel stools offer the support for your back you’re looking for. Long conversations, card games, and TV watching become more enjoyable when you lean back in these comfy leatherette-cushioned chairs. While they can swivel completely around, they are very stable. 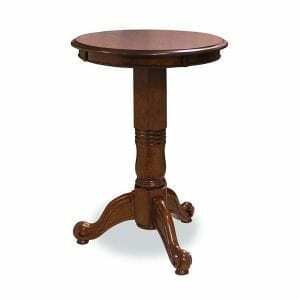 Buy several in either Mahogany or Chestnut. 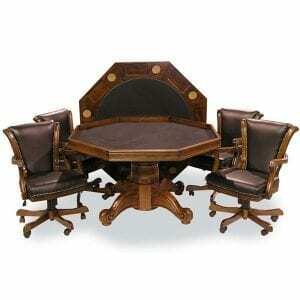 Check out some of our related products to outfit your game room. 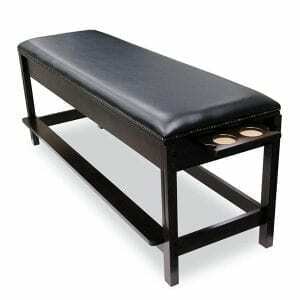 Try our pub tables, billiard cue racks and Designer Home Foosball Tables.